Immigrant investor programs, commonly known as investor visas or golden visas, have faced increasing scrutiny this year as several Organization for Economic Cooperation and Development (OECD) countries experimented with their format to try and maximize economic benefits. A dynamic policy area, investor visa programs have proliferated from island nations of the Caribbean to small European outposts and traditional immigrant destinations such as the United States and Canada. They have proved particularly popular among nationals of China, Russia, and other countries in East Asia and the Middle East. These programs offer various forms of residency rights to foreign nationals in exchange for a significant investment in private-sector assets, such as real estate or business, or directly to the government, through government bond purchases, or giving money to a national development fund. While some countries offer outright permanent residency and even citizenship to immigrant investors, most offer temporary residency rights with an eventual pathway to permanent status. In the United States, policymakers are considering significant reforms to the EB-5 investor visa program, ahead of a December 11 deadline that would see a key piece of the program, the regional centers, expire. The program came under intense examination in 2015 following reports of fraud and insider dealings, as well as questions about its economic benefits. The EB-5 program provides legal permanent residence (green cards) to immigrants who invest at least US $1 million (or $500,000 in high-unemployment or rural areas) in commercial enterprises that create or preserve at least ten jobs. But critics charge the economic benefits to poorer areas are, in practice, almost negligible: high-unemployment areas are drawn so broadly that they also include wealthy neighborhoods (such as Manhattan), where many of these commercial enterprises and associated jobs are based. Several legislators have put forward bills to reform the EB-5 program ahead of the December sunset. Beyond seeking ways to ensure investments truly target high-unemployment areas, lawmakers are also under pressure to introduce greater oversight of the regional centers and transparency on the source of funds, following several high-profile cases in which investors were defrauded. Beyond changes in Canada and contemplated reforms in the United States, other countries have also experimented with ways to maximize the economic value of investor visas for the receiving society, by raising minimum thresholds in essentially passive assets. The most notable change has been the redesign of investor visa programs in some countries so as to encourage investments in businesses and venture-capital funds—both of which carry much higher risks, but also prospects for much higher returns. In July, for instance, Australia announced revisions to its Significant Investor visa program, removing the option to invest in government bonds and instead requiring applicants to invest in riskier private-sector assets such as venture capital funds and mutual funds. A Premium Investor stream was also introduced with a minimum investment threshold of AUD $15 million—triple the minimum threshold for the Significant Investor stream. Meanwhile, the UK Home Office is reviewing the design of its Tier 1 (Investor) program, to assess which types of investments would generate the greatest economic benefits for the United Kingdom. This experimentation comes amid growing public scrutiny of these programs and their susceptibility to abuse, as demonstrated by the U.S. example. And in the United Kingdom, though the government introduced new due-diligence requirements for its investor program in April, critics suggest the program remains vulnerable to money laundering. While the incentives for reforming immigrant investor programs are clear, raising investment amounts and changing the investment vehicles have ramifications for demand. Canada’s pilot replaced a long-running federal program that offered permanent residency in exchange for investing CDN $800,000 in zero-interest, five-year government bonds—and which, at the time of its termination in 2014, had a backlog of more than 65,000 applications. Demand for the UK investor program fell 82 percent in the second quarter of 2015 from the same period a year earlier, following the new due-diligence requirements and a November 2014 decision to double the minimum investment threshold. Similarly, demand slumped following Australia’s new rules for its Significant Investor stream. At the heart of investor programs are three things: (a) the general appeal of a country as a destination; (b) the benefits to participants—particularly ease of access to permanent residence and, more importantly, citizenship in a country whose passport opens doors for visa-free travel to desirable destinations; and (c) the safety and return on investment, particularly as the required sums become very large. In this last regard, it is notable that demand for investor visas requiring very large investments has fallen dramatically. It is unclear at this time whether the drop in demand is a short-term event as investors adjust to the changes, or the beginning of a secular trend that attracts fewer but wealthier investors. As governments continue to experiment with their design, questions remain regarding the future direction of immigrant investor programs in popular destination countries such as Australia, Canada, the United Kingdom, and the United States. Policymakers may hit the “sweet spot” where they can augment and make obvious the economic benefits of these programs and introduce greater oversight, while still attracting sufficient numbers of wealthy investors. However, foreign investors may instead look to programs in less traditional destinations that offer generous residency rights and much lower investment thresholds, with fewer demands on investors. Many countries with investor visa programs also have immigration channels targeting entrepreneurs, such as the United Kingdom’s Tier 1 (Entrepreneur) and Graduate Entrepreneur programs, Canada’s Start-Up Visa Program, and Australia’s Business Innovation Stream. As governments modify their immigrant investor programs to attract a smaller, more selective group of very wealthy foreign nationals willing to invest in businesses or venture capital, some of those investors may instead choose these other, less controversial channels. Only time will tell how tolerant would-be investors are of much higher investment thresholds, greater scrutiny, and risk, and whether entrepreneur visas—with their own complex requirements—will prove to be as popular as their proponents imagine. Brown, Eliot. 2015. Future of immigrant visa program has high-end builders at odds. The Wall Street Journal, November 10, 2015. Available Online. Government of Canada. 2014. Building a Fast and Flexible Immigration System. News release, February 11, 2014. Available Online. ---. 2014. The New Immigrant Investor Venture Capital Pilot Program. News release, December 16, 2014. Available Online. Reuters. 2015. Canada gets just six applicants for millionaire immigration program. Reuters, July 23, 2015. Available Online. Rodriguez, Natalie. 2015. Projects in big cities remain a major hitch in EB-5 debate. Law360.com, November 13, 2015. Available Online. Smyth, Jamie. 2015. Rule change hits demand for Australian investor visas. Financial Times, September 13, 2015. Available Online. Transparency International. 2015. Gold Rush: Investment Visas and Corrupt Capital Flows into the UK. London: Transparency International UK. Available Online. U.S. Citizenship and Immigration Services (USCIS). N.d. About the EB-5 Visa. Accessed November 4, 2015. Available Online. U.S. Government Accountability Office (GAO). 2015. Immigrant Investor Program: Additional Actions Needed to Better Assess Fraud Risks and Report Economic Benefits, GAO-15-696. Washington, DC: GAO. Available Online. Waldron, Daniel and Sanwar Ali. 2015. 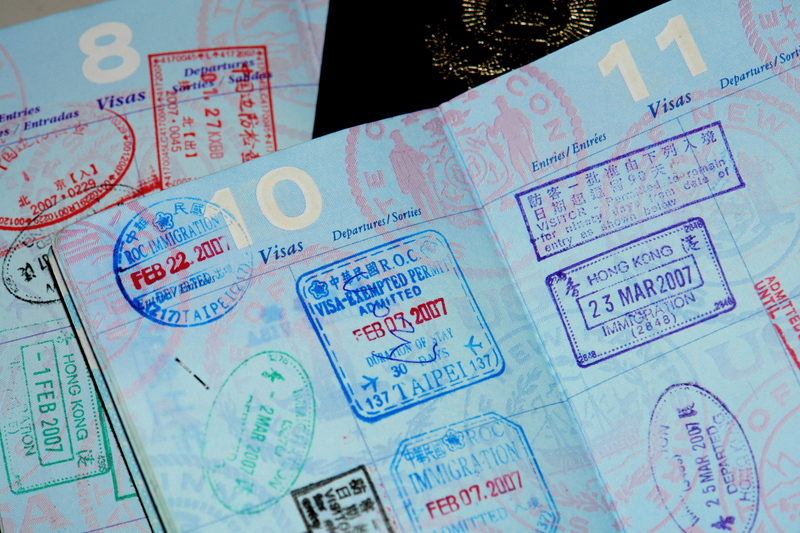 UK Tier 1 investor visa applications decline by 82%. Workpermit.com, October 13, 2015. Available Online.